Welcome to Day #6 of Chocolate, Sugar and Spice Theme Week. 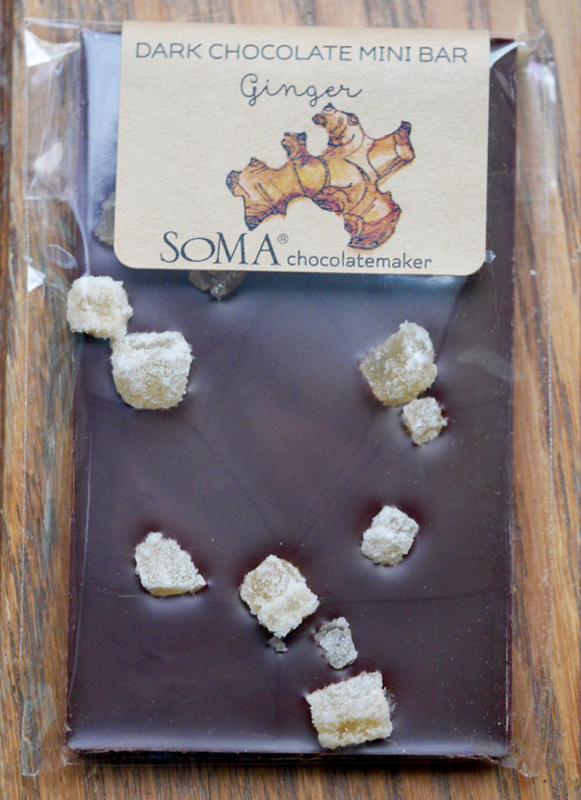 Today's Ginger Dark Chocolate Mini Bar was from SOMA Chocolate (Toronto, Canada). 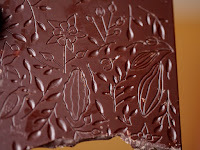 Over the years, SOMA has offered bean-to-bar and other chocolate items (bars, drinking chocolate, filled/flavored chocolates and inspired, high-quality novelties, such as their "twig" and/or "branch" chocolates). I have fond memories of my first visit to the SOMA location nestled in a brick complex that used to house a distillery in Toronto, and buying and tasting items there. In today's dark mini bar, ginger was the dominant flavor. 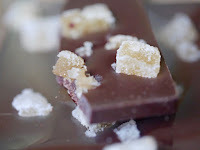 The small hunks of candied ginger with a soft chew were flavorful, and had a very slight soapiness that ginger can sometimes have, that seemed to dissipate after the first chew. 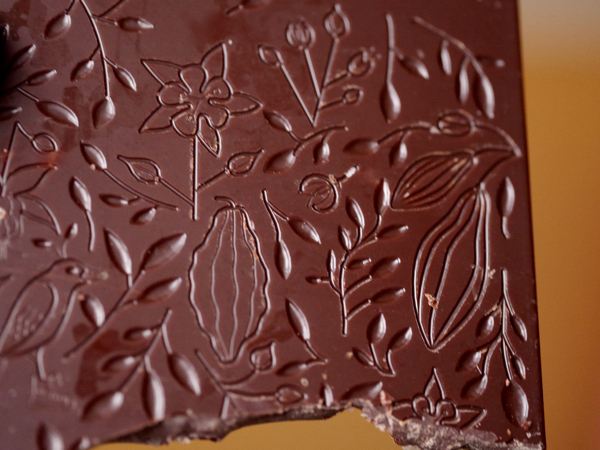 The dark chocolate was smooth, and on one side was emblazoned with a downsized version of the same lovely botanical print found on larger SOMA bars. The mini bar was a great size for a single serving, high-end chocolate dessert or snack. This bar's ingredients: cocoa mass, sugar, ginger, cacao butter, natural vanilla, soy lecithin.